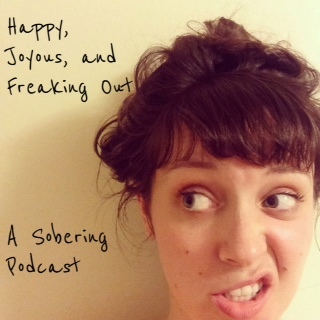 Happy, Joyous, and Freaking Out: A Sobering Podcast captures my experiences with this notion – I’ve been gifted this life, and through working a combination of 12 step, therapy, meditation, exercise, and other healthy practices, have been relieved of my obsession to get loaded. So…now what? This podcast attempts to get at the daily struggle of fulfilling that order. What can we do when our thoughts betray and disempower us? What options do we have when are trapped by misery of our own making? What happens when things don’t go the way you want or expect them to? By sharing my own experiences, and inviting others to share theirs, we can discover new ways of thinking and being, and hold ourselves accountable for the next time happiness, joy, and freedom seem like a distant memory or an unattainable goal. Take a listen, share your thoughts. Email me at nichole@happyjoyousandfreakingout.com (Is that too long of an email? Oh well. ), or comment below. You’re fantastic. Let’s try and not forget that. *Disclaimer* What I share is only my experience – one interpretation of sobriety. Take what you like, and leave the rest!